Yes. 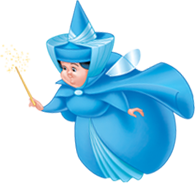 Travelling from England by Eurostar™ to Disneyland® Paris is easy. The Marne-la-Vallée/Chessy train station is located right at the gates of the Disney Parks and just 2 minutes away from the Disney Hotels. Use our interactive map to find Marne-la-Vallée/Chessy train station and see just how close it is to the magic! With the Disney Express luggage service you'll feel the magic as soon as you arrive. Just leave your bags at the Disney Express counter at the station, collect your tickets and we'll take your luggage to your hotel, leaving you to head straight to the Parks.